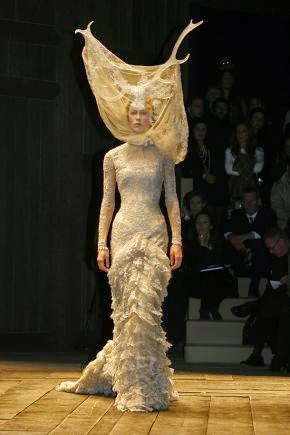 The V&A in London, have just announced that they will be presenting an Alexander McQueen exhibition in Spring 2015 called Savage Beauty. This will be the first time the late designer's work has been shown since 2010 and will show his visionary body of work, that spanned his 1992 MA Graduate Collection to his unfinished Autumn/Winter 2010 collection. It will show his dramatic staging and sense of spectacle synonymous with his runway shows.